This $70M capped ASX stock is the world’s biggest primary producer of leucoxene, a premium quality titanium dioxide feedstock. Leucoxene has application in paints, plastics, aerospace, medical and 3D printing – all multi-billion industries that are dependent on this company’s product. It’s Keysbrook mineral sands project in WA is a long life, low risk asset, generating high margins even at current low point in commodity cycle. Sentiment is positive that the mineral sands market cycle has moved through the bottom as the reduction in feedstock supply starts to affect inventory and demand… which will only serve to accelerate this stock’s growth plans. With expansion plans set to kick into gear, this junior ASX stock may start nipping at the heels of the incumbent mineral sands market leaders – such as the $2.3BN capped Iluka. With steady cash flow coming in, production is forecast to expand dramatically. 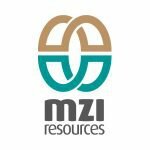 Currently this ASX company has ore reserves of 72 million tonnes – which could last 15 years and beyond at current production rates. That is really only the start though here, this company is going to start converting its very large existing resource base into reserves, adding value to the company’s assets. Once it achieves design production rates, it expects to deliver EBITDA margins of around 50% – ahead of many of its peers. With offtake agreements locked away that cover 80% of all production over 5 years – including 100% of all zircon concentrate produced, this ASX stock has set a stable base for an expansion pathway. Volumes have been written on the applications of minerals such as lithium, graphite and cobalt in the modern world, much of it based around an acceleration in the production of long life batteries and the proliferation of electric vehicles. However there is a particular type of mineral sand being produced right now by a relatively small ASX stock that is at the heart of an even wider range of innovation and technological developments.